Yup. Ya read it right. Just two. What’s my secret? Read description and try it yourself. It’s yummy, healthy, and good for the summer. Or good for snacking and stuff. 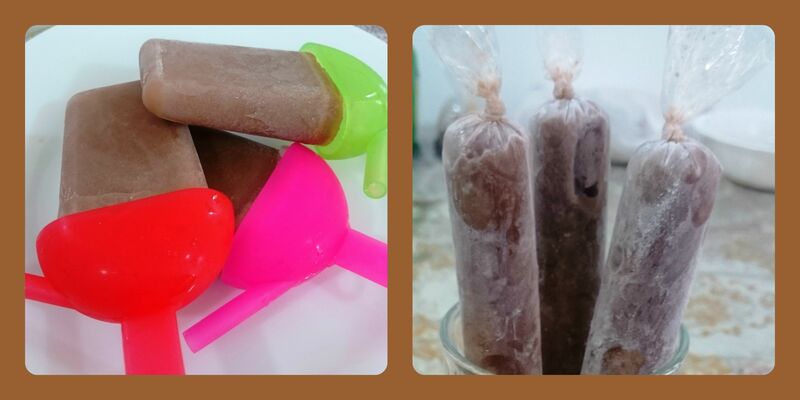 My popsicle molds were full so I pour some in plastic casings. Just blend everything together, pour in molds, freeze, then you’re done. The taste was slightly tangy-ish from the yogurt but the consistency was great so it’s kinda like an ice cream and I like it that way. I don’t like the ones that are like ice blocks XP So if you wanna try different flavors or brands it’s up to you to adjust the taste and the amount. This was just an experiment for me. Seriously it was worse than July. All rain and no sun. Plus thunder, lightning, and strong winds. When I looked out the window all I see was dark gray and waterfalls. I felt sorry for the birthday people who wanted an outdoor party.